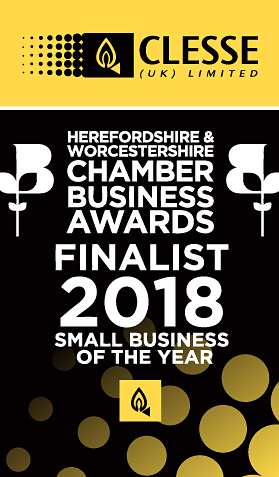 Clesse UK are a finalist in the Herefordshire and Worcestershire Chamber Business Awards 2018! Adam and Becky spent a long time preparing our application form, going into detail about the company, its achievements and challenges, and what we hope to see over the next five years. Competition was fierce, and the number of applications this year exceeded expectations. Results are announced at an awards night in June; fingers crossed for Clesse!